This month I finally decided to upgrade from my archaic Windows 5.0 Cingular 8125 to the latest and greatest mobile device on the market. Now, I know there are a lot of mobile users out there who have their own personal favorites – the most popular ones being the iPhone, the Blackberry and of course the collection of Windows Mobile phones. All of those mobile devices are powerhouses in their own right, and for a while I was torn between all three. Then, one day, as we I was sitting in front of the TV and watching the premier of the show “V,” a commercial came on that I’d never seen before. 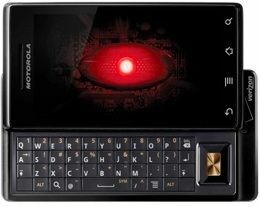 The commercial was for the new Motorola Droid – Motorola’s latest attempt to wipe out the competition with a mobile device that pushes the limits in areas where all other mobile devices fall short. The catch phrase of the Droid is “Droid Does,” and since day one it has struck fear into the hearts of other mobile phone manufacturers, and since I got it, I’ve noticed iPhone fans getting very defensive whenever I show it to them. They’ll repeat the phrase, “Yeah, the iPhone does that.” Until, that is I show them an app or a function that the iPhone can’t do – then I get a grim look and they walk away. The Droid was everything I wanted. It had the slide-out keyboard I wanted which the iPhone lacked. It had the touchscreen I wanted that most Blackberrys lacked. It accomplished everything I needed and a few things I didn’t even know I wanted until I heard the Droid could do it – voice recognition for Google searches, in-car turn-by-turn GPS with voice, bedside clock with weather and music, a personal MP3 music player and integration with every single social network that I use. Built upon the Linux kernel, the Android mobile operating system stands to gain some significant market ground thanks to this new, powerful device from Motorola. 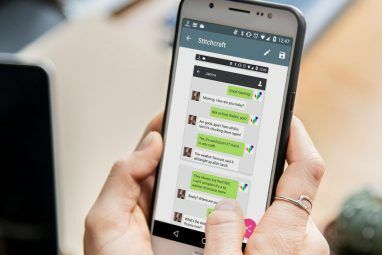 But there was one thing that the Android OS can’t do that all other mobile devices can – take a screenshot with the Android with one simple button press. Even my old Windows 5 device could do that. Is Taking A Screenshot On The Android Really That Hard? As an online writer for technology, I found this lacking feature disheartening. And it is possible to run apps that take screenshots on your Android, but you need root access – and for most manufacturers if you do that, you could void your warranty. Also, blocking your apps from root access is one reason Linux users are so proud of their operating systems – they are virtually immune from all viruses. When all other mobile devices get attacked – you’ll be standing strong. However, despite this drawback, I also discovered that taking a screenshot of the Android screen isn’t really that difficult using a PC or laptop. Other websites lay out the procedure in a ridiculously long and complicated procedure. This is silly – and in this article I’m going to show you how to connect your Android device to your PC via USB and quickly capture a screenshot whenever you like. 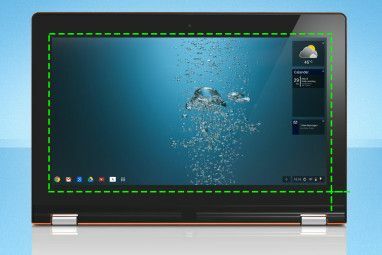 The first step of course is to make sure your PC is configured to quickly connect to your Android phone. 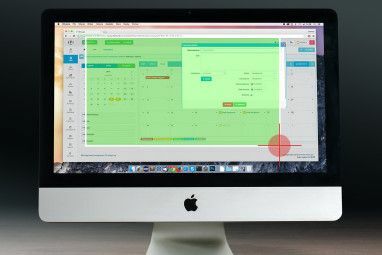 To do this, you just need to set up the following applications once on your computer. Install the USB driver for your phone onto your PC. You can get the Droid driver for Windows PCs here. The Java SE developers kit. The Android SDK developers kit. Download and install those three applications, and you’re already halfway to taking screenshots with your Android quickly and easily. After you set up the Android SDK developer kit, you’ll be presented with an update screen that probably has an error saying you need to force download. Just cancel/close that screen and continue to the procedure below. Keep this in mind – once you go through the following procedure just once, you’ll be set up to instantly take screenshots on your Android with your PC whenever you like. Remember, you don’t have to do this every single time you need a screenshot, only once to configure your PC. Most online instructions don’t make that clear, and most Android users assume the procedure is too annoying and time consuming – it’s not! Here’s how you set up your PC to take Android screenshots. First, if you still have the Android SDK developer kit setup screen up (if you don’t just run the SDK Setup in the folder you extracted the files to), then click “Update All.” However, if you get the error that tells you to do a force download, then just click on the Settings option in the menu. All you have to do is make sure that the “Force https://…” is selected under the “Misc” section. Click “Save & Apply” and then go back to the Installed Packages screen. Click on the “Update All” button. Now that you’ve updated the Android SDK developers kit, you’re ready to start taking screenshots of your Android device. However, I have one more step that will save you a lot of annoyance later. Create a link to the Dalvik Debug Monitor in the SDK developer kit that you can quickly use to capture screenshots. Just go to the Tools folder in the folder where you downloaded the SDK developer kit. Find the DDMS.BAT file there, and create a shortcut to it that you can place on your desktop whenever you want to take a screenshot. Please Note: I ran into two significant issues when doing this setup on my 64 bit Vista installation. Running DDMS.BAT may return a few errors. You may need to manually enter the PATH in my system environment variables for the bin folder of your Java installation. You may also need to manually enter the ANDROID_SWT variable for the path to the swt.jar file in your Android SDK installation. You may not need to do either of these things – just pay attention to any errors the DDMS.bat file returns. 1. Run the DDMS.BAT file, and the Dalvik Debug Monitor will launch. You’ll see your device displayed in the left top pane. All of your phone activity is logged below and you’ll see the activity scrolling up the pane. 3. Just save your screenshot! The screenshot is very high quality (and of course it’s huge, so you’ll need to resize it to use on your blog), and you can just click “Refresh” to get a new screenshot again. Once you’re set up to capture screenshots in this way, you’ll be able to start capturing some of the most amazing screenshots of your Android mobile device in three simple steps – launch DDMS.BAT, click Capture Screenshot on the debug monitor, and save the picture to your hard drive. While it’s true that the initial setup on your PC can turn into a little bit of work depending on your PC configuration and operating system, it honestly doesn’t take a rocket scientist, and the highly detailed screenshots you can capture make it well worth it. Do you take screenshots on your Android Mobile and if so, what approach do you take? Do you open root access to screenshot apps or do you prefer using the Debug Monitor approach? Share your own opinion in the comments section below! This is the best solution for Android screen capture ever! The only problem is the SDK's components take up well over 1GB on my HDD and I'll probably never need to use it for anything else! Nonetheless, I wouldn't want to mess with the root, so this method is just fantastic for me, I'm chuffed! Thanks ever so much, Ryan! Do you know there is a screen shot app in the market? Yes, there are several, but they all (at least so far) require root access. Although, an interesting side note - I did find one app (Home++) that *will* take a screenshot of just the home page, but nothing else, without root access. So, I'm hoping that more apps follow suit and provide the ability to take screenshots of any screen without root access. But as of today, there are none. No just havent been online Josh, Dube's all encompassing get out clause not for free or jailbroken obviously cuts any argument dead in the water. Thanks Peter. And friends call me Ryan, not Dube. I look forward to your feedback on my future articles. Go on then Dube, tell me something the iphone cant do, it can do what you detail above, no set up needed, it does it. I had a response prepared already just for you. Here's a list of just a few things that I learned a Droid can do that an iPhone can't (at least not for free or without jailbraking the phone). - iPhone doesn't support Bluetooth communication other than for a Headset, and even in that case it's only for calls, not music. Meaning no internet access or file transfer to your computer via Bluetooth. - iPhone requires Apple proprietary USB cable, not a standard one. KA-POW! Holy Android Batman! LOL. That's what I call a very detailed response! AYE AYE to Ryan's response. So what if the IPhone can take screen pixs. How important is that in daily life and I bet that application is used few few times. Droid has so many good points that are MUCH more important than that screen pix application. Now we got that beauty Nexus One thats going BLOW IPone off the map and memories of this world. I am noticing a very loud non response from the person who posted that question. Why could that be? Embarrased a little? Robert - thank you so much for your kind response. It meant a great deal to me. I showed it to my wife and she turned to me and said, "I told you so." So, I guess you've provided that little nudge I needed to think seriously about writing that first novel. Thank you Robert.